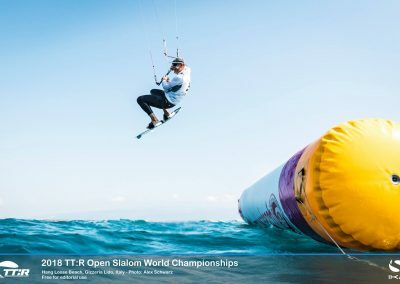 FLYSURFER presents the world’s fastest kite – the SONIC Race VMG – Florian Gruber wins his third successive TT:R World Championship Title! 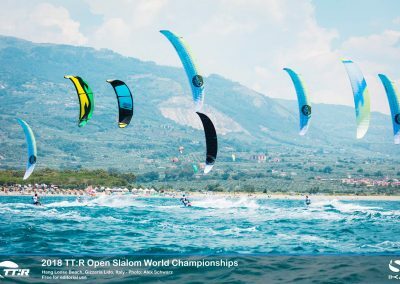 A fleet of the globe’s fastest young kite racers had gathered to battle for the 2018 TwinTip: Racing World title on the warm, turquoise waters off southern Italy’s Hang Loose Beach. 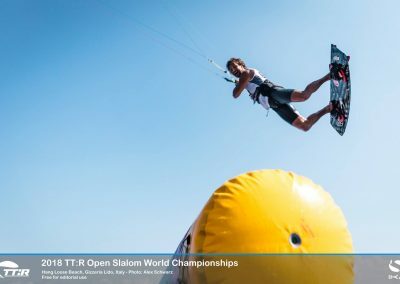 The strong field of 59 racers from 19 countries, including the two-time world title holder, Germany’s Florian Gruber, went head-to-head in the frenetic TT:R slalom-boardercross discipline over five days of competition with a share of €10,000 for the “open” men’s and women’s World Championship titles at Gizzeria, Calabria. 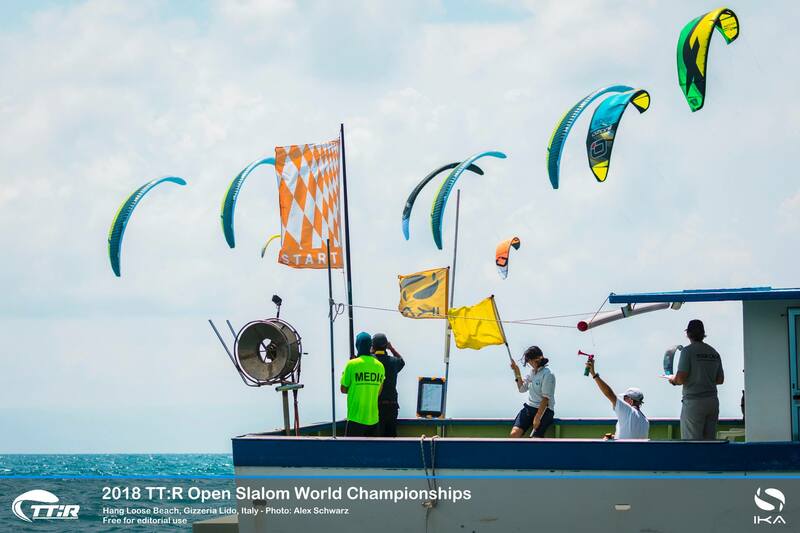 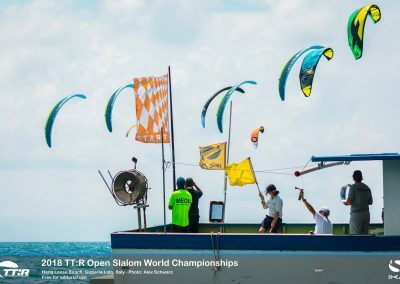 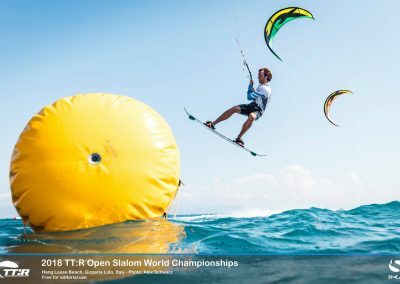 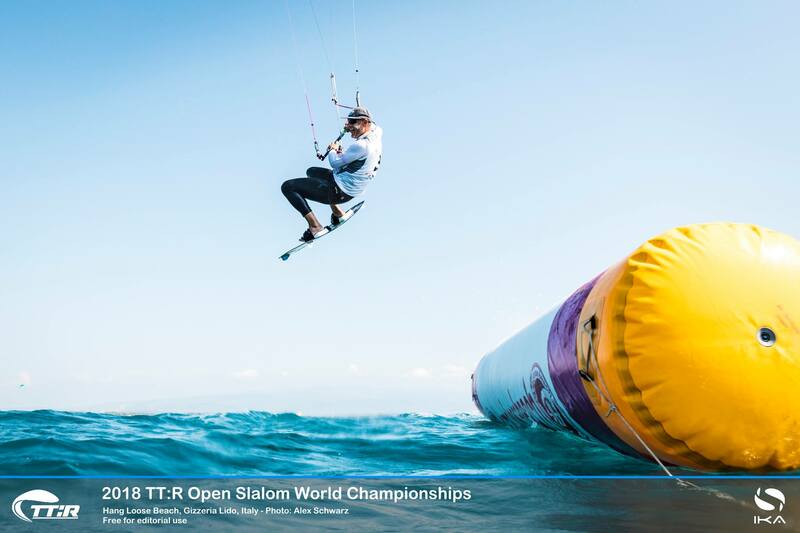 The 17 men and 14 women fighting for the world titles are allowed to use any twin-tip board and and any combination of kites, though the most experienced racers have selected without doubt foil kites as their weapon of choice. 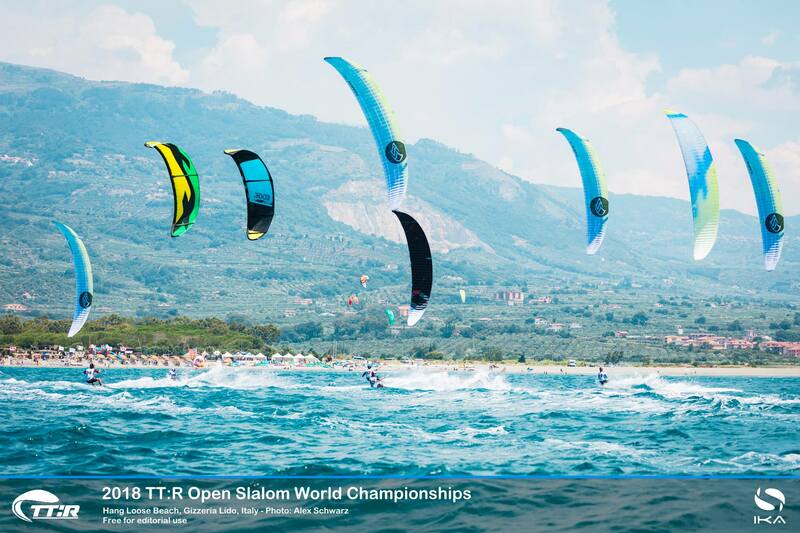 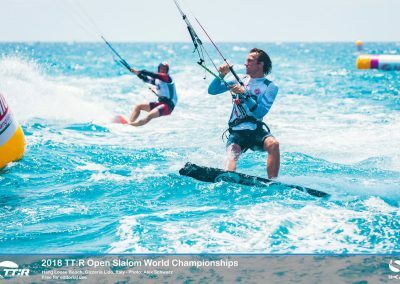 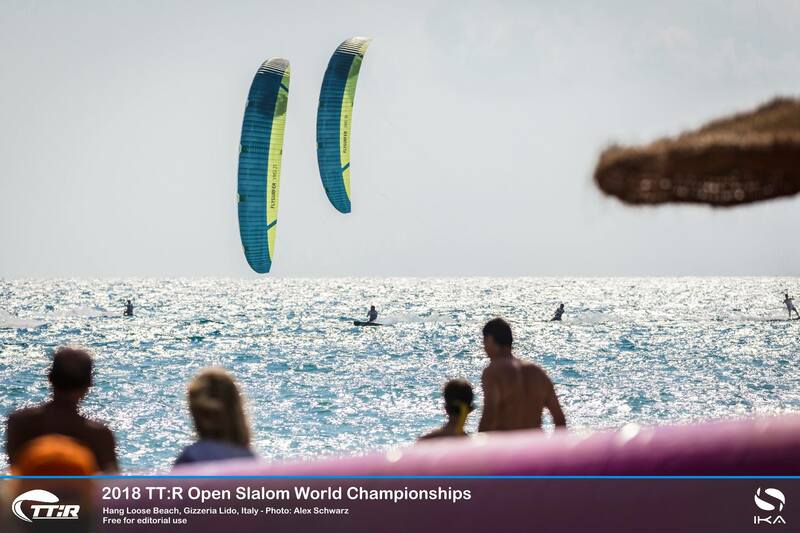 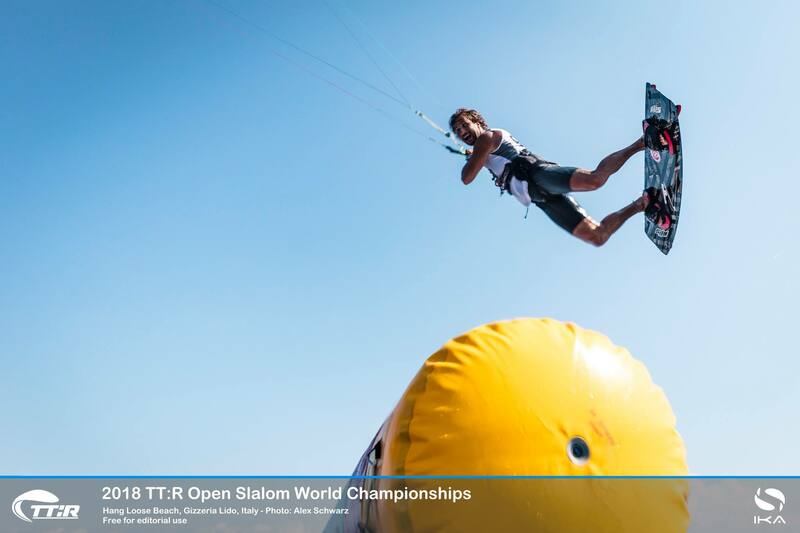 In the men’s division, our Flysurfer athletes Martin Dolenc and Florian Gruber, is considered as strong contender for the World Championship title. Martin Dolenc is one of 24 boys and girls born between 2000 and 2003 who have qualified for YOG in October in Buenos Aires, Argentina. 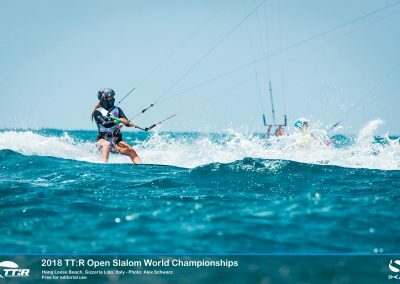 In the women’s “open” division, Flysurfer’s newest team member Daniela Moroz, the two-time International Kiteboarding Association (IKA) Formula Kite hydrofoil world champion, entered her first TwinTip race this year without any expectations. 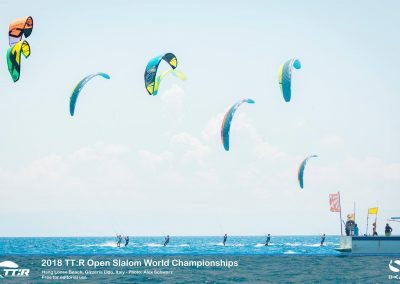 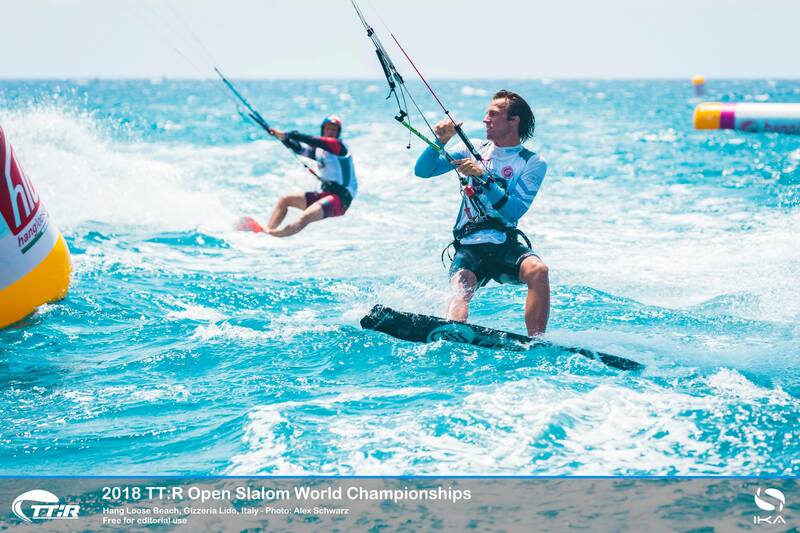 After the opening day in super light wind, our athletes found themselves behind Titouan Galea, who pinned Florian Gruber and Martin Dolenc behind in second and third spot. 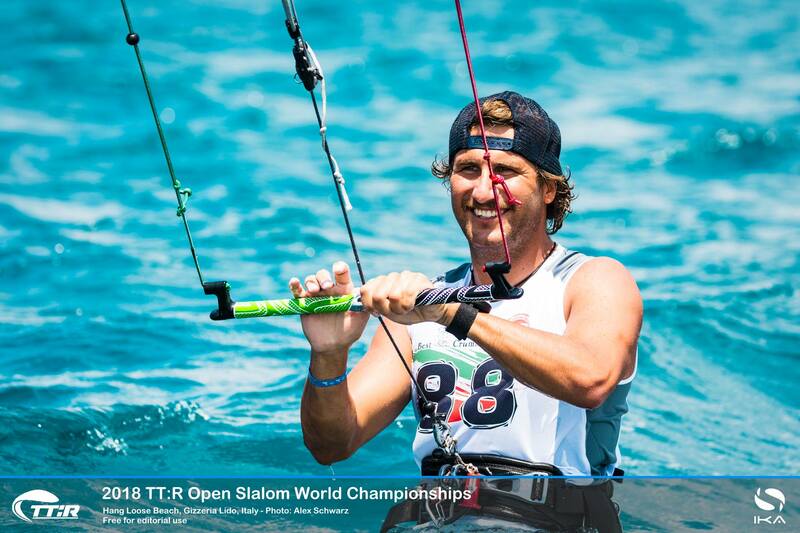 “This is my first time at twin-tip racing, so naturally I’m pretty happy,” said hydrofoil race veteran Galea. 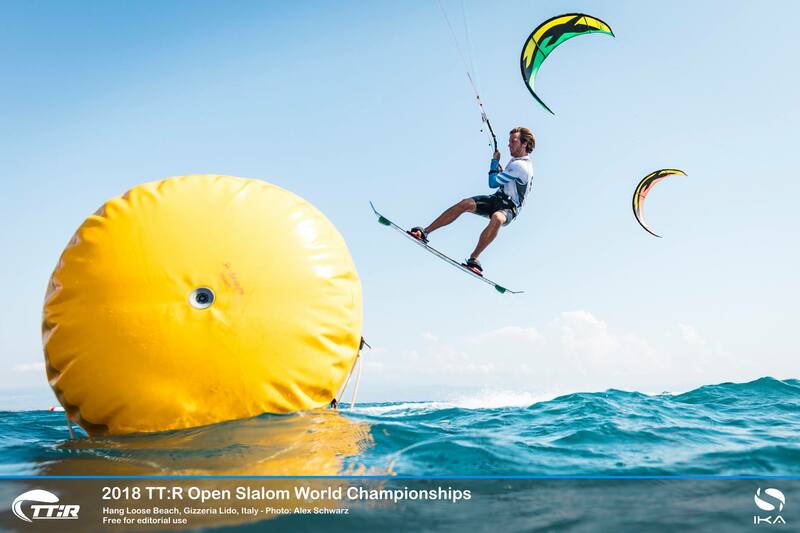 “I had a couple of good starts which really helped. 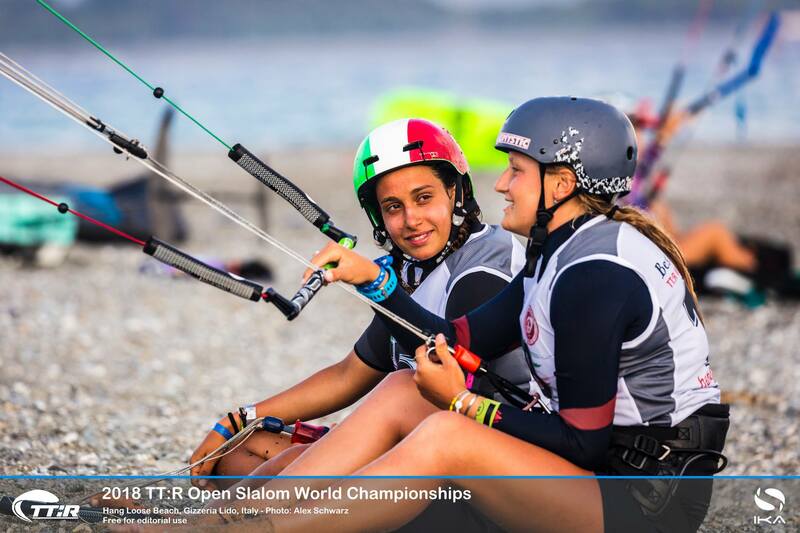 I was lucky in the final as the wind dropped a little, so it was harder for the other guys who’re heavier.” Also Daniela Moroz had a hard time, getting used to the slalom format and conditions in Gizzeria finishing on the 12th place after day one. 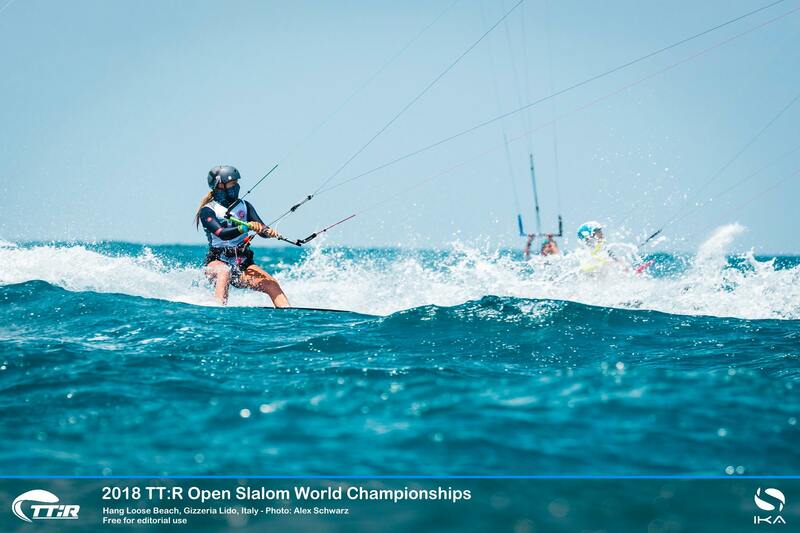 Most of the girls battling for the “open” TT:R World Championship glory, chose to pit growing pace and skill against one another as they vie for that title. 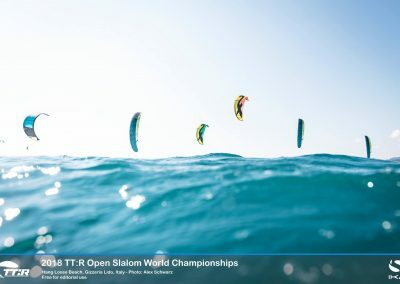 France’s Poema Newland cemented her overnight lead with a solid outing in the light breezes. 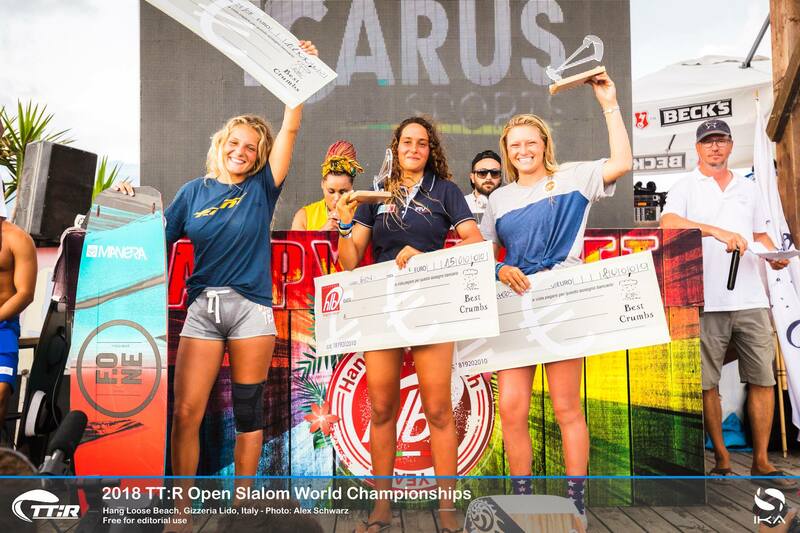 Flysurfer athlete Daniela Moroz also moved swiftly up the order to second on the leaderboard with a series of clean races where she managed to steer clear of trouble. 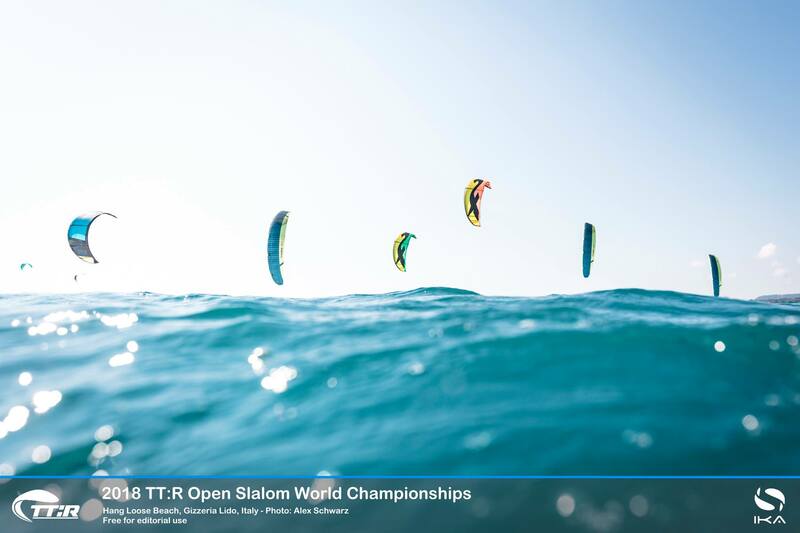 On the third day of competition the pressure of the intense downwind slalom-boardercross races – with jumps added to enhance the spectacle – saw the women’s pack reshuffled with the strong Italian team commanding the heights in the standings. 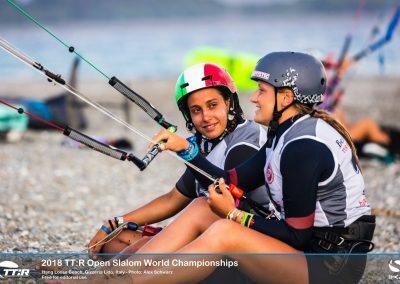 Consistently high-placed finishes in the vital elimination round deciders pushed Irene Tari to top of the leaderboard, with former TT:R Youth World Champion, Sofia Tomasoni, rising to third spot. 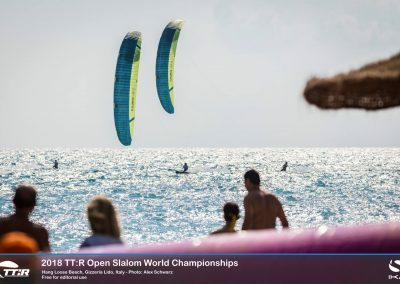 In the glorious south Italian sunshine Germany’s Florian Gruber, going for his third successive TT:R World Championship title, stretched his overall lead with two comfortable elimination round decider wins thanks to his perfect starts and pace reaching the all-important first mark. 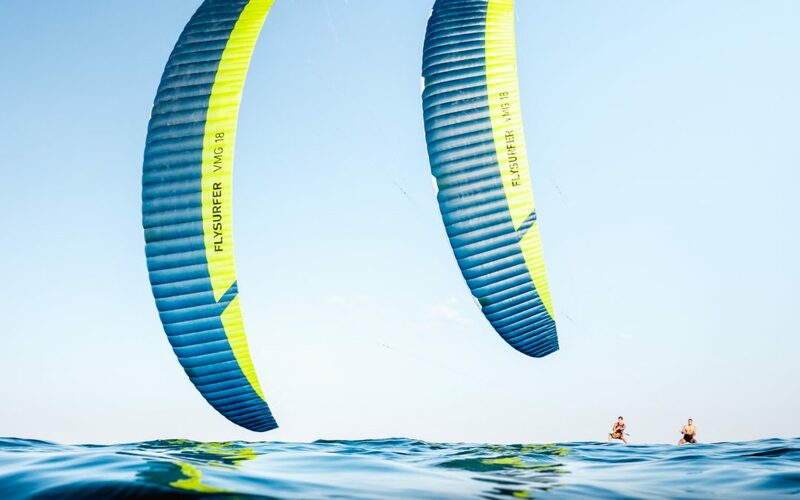 Yet in the second of the day’s showdowns in perfect 15kts breezes blowing over flat Mediterranean waters, Gruber was caught in the mayhem of a spectacular four-kite tangle while leading on a drag race to the first mark. 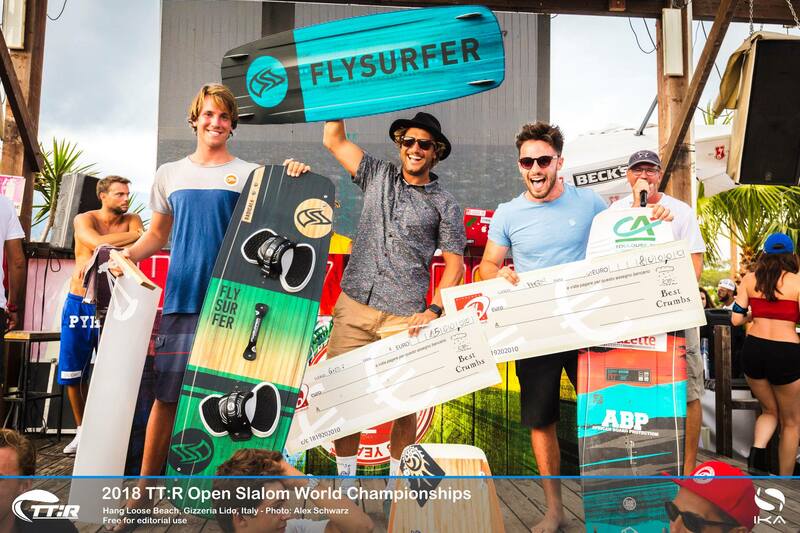 Florian was given “redress” and a first-place position that tightened his grip on the top spot, one that the chasing pack of TT:R European Champion. 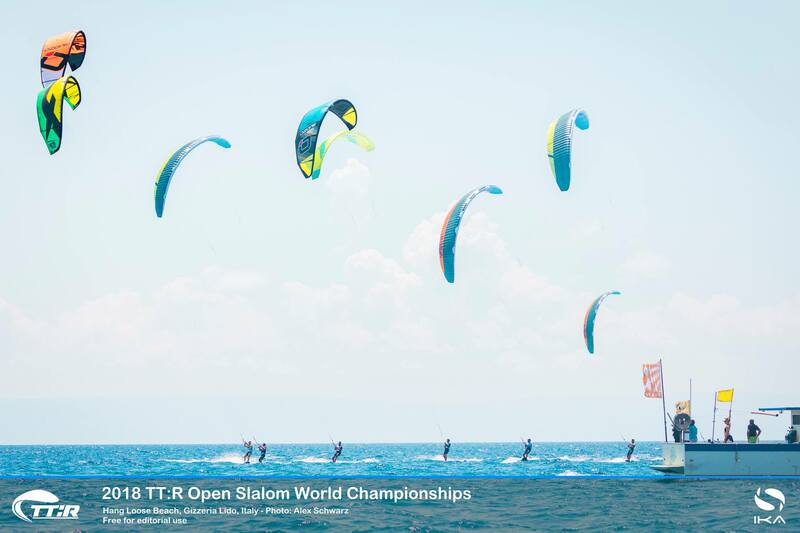 FLYSURFER Kiteboarding is grateful to have you guys on the team and we wish you good luck and all the best for the upcoming International Kiteboarding Association (IKA) Formula Kite hydrofoil World championships!